Der Artikel Sigismond Stojowski (1870-1946): Klavierwerke wurde in den Warenkorb gelegt. 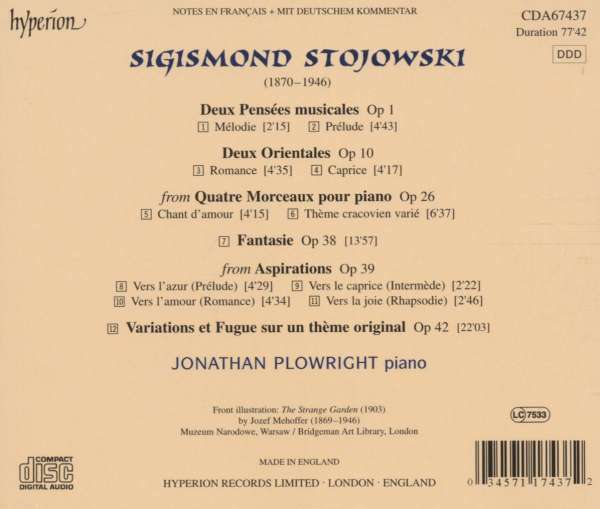 The Polish romantic composer Sigismond Stojowski is currently enjoying a welcome revival, thanks largely to Jonathan Plowright and Hyperion. Sumptuously lyrical, intensely chromatic, by turns poetic and dramatic, this music deserves to be better known. 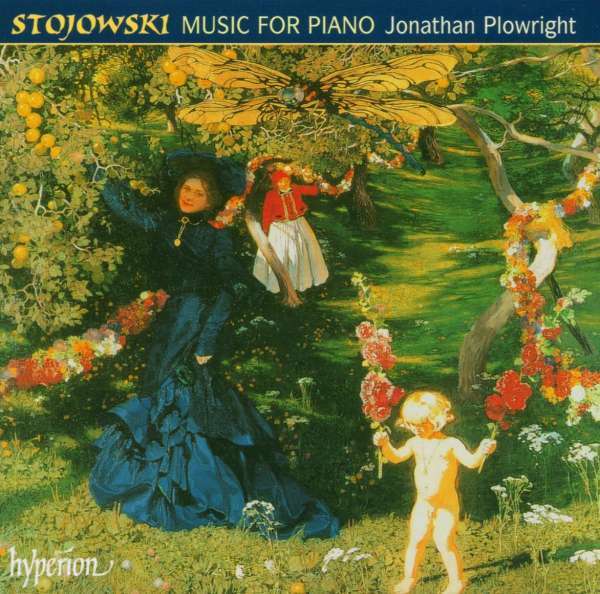 Jonathan Plowright has a natural affinity for Polish romanticism, and he has already proved his mettle with this composer in his enthusiastically received recording of Stojowski’s piano concertos. His imperious performances on this follow-up selection of solo piano music confirm him as this composer’s ideal advocate. As well as the large-scale Fantasie, and Variations and Fugue, this disc includes charming miniatures such as Caprice oriental, once a favourite of Josef Hofmann, and Chant d’amour, Stojowski’s most famous piece during his lifetime thanks to the performances of Paderewski. FonoForum 12 / 04: "Jonathan Plowright hat Sinn für die aparte Klanglichkeit dieser Werke, spürt Berührungspunkten zum Impressionismus nach und hat etwa in einem Großentwurf wie der ausgesponnenen Fantasie oder 'Variationen und Fuge über ein Originalthema' den virtuosen Zugriff und die nötige gestalterische Weitsicht."